It’s a triumph for Owner of Neil Barton Hairdressing, Neil Barton, who has been welcomed into Goldwell UK’s Global Color Zoom Hall of Fame! The two-day Global Zoom 2018 Gala Show was held at the Enercare Centre in Toronto, Canada and was a spectacular production of visual graphics, dancers and the brightly coloured fashion show of the latest collection REMIX created by the Global Artistic Team. As well as the World Premiere of the Color Zoom ’19 collection, the show featured the announcement of the 2018 Global Winners at the event where 3,000 salon stylists gathered for the show, the largest beauty show that Toronto has ever seen. 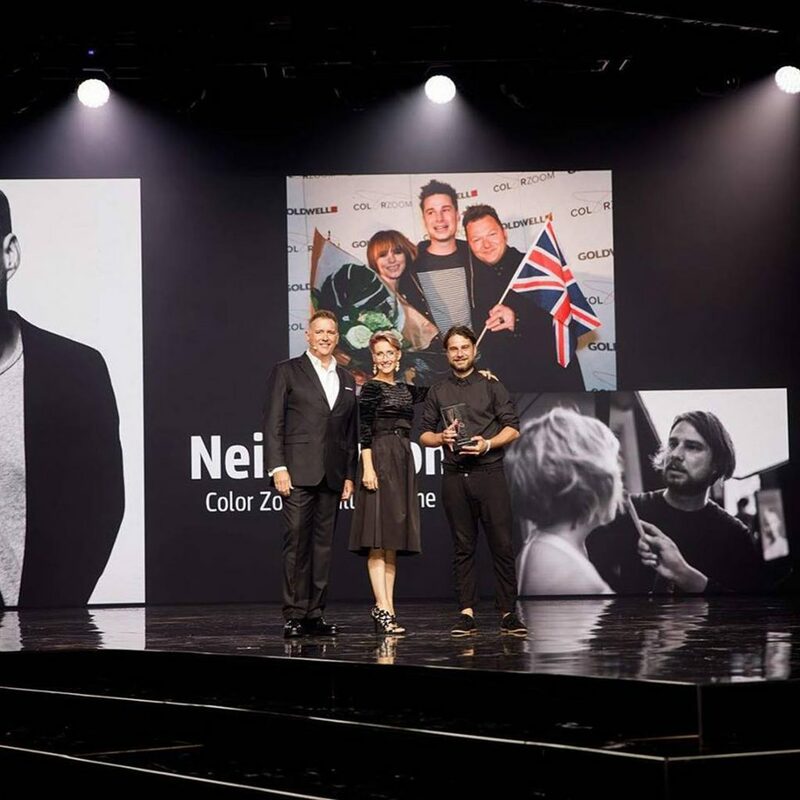 After a fantastic opening show, Kao Salon’s Global President, Cory Couts, and last years Global Fame Inductee and Goldwell Global Master, Agnes Westerman, announced that Neil Barton had received a place on the Hall of Fame, an award that has only been launched in the past two years, making Neil the second recipent of this fantastic award. The award is given to a person who maximises their win at the Color Zoom Challenge and developed their career by maximising their win or by mentoring people throughout the Goldwell network or mentoring people through the Color Zoom Challenge.